- Publisher "Classic Christianity"--George's eye-opening distillation of the life-transforming truths of the gospel--now has a fresh cover and interior that reflect the up-to-the-minute relevance of its message. 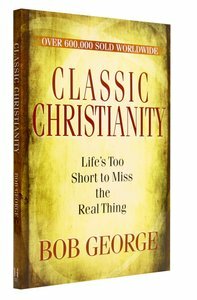 "Classic Christianity"--George's eye-opening distillation of the life-transforming truths of the gospel--now has a fresh cover and interior that reflect the up-to-the-minute relevance of its message. He is a counselor and teacher on "People to People," a biblical counseling program broadcast on radio stations from coast to coast.